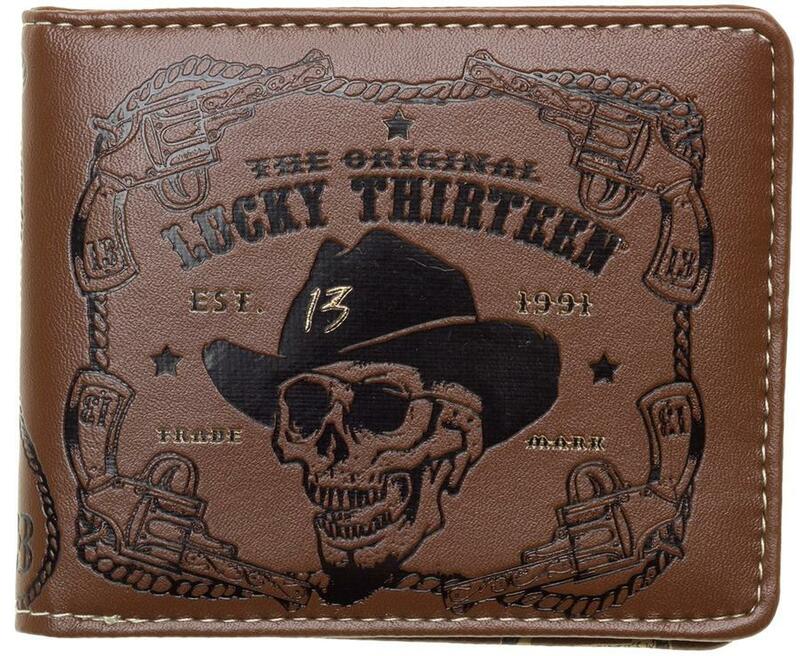 Wrangle up yourself a new wallet from Lucky 13! 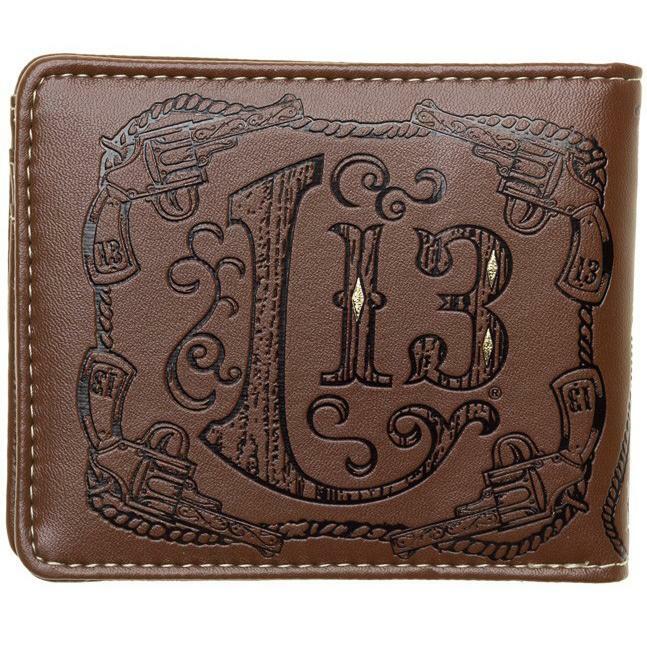 This brown, billfold wallet is embossed front, back & inside with western inspired designs compete with skull, pistols, jackalopes & rope. 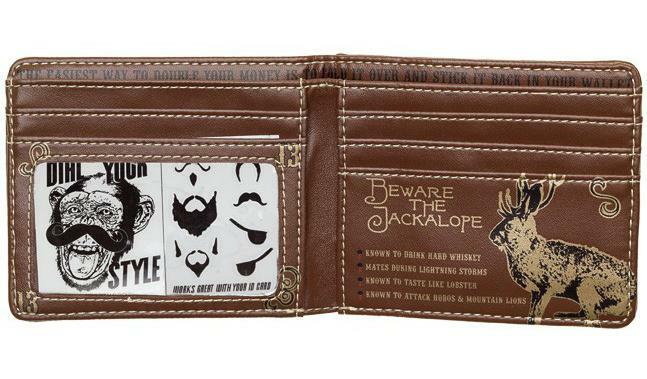 Just the right size for your back pocket.